Meet our year-round residents of the Park. 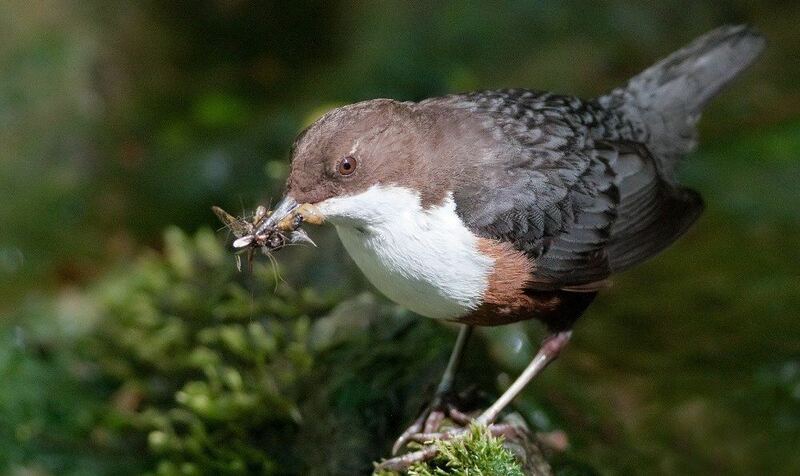 If you see a flash of brown flying low over one of our rivers or burns it is likely you have seen a dipper. 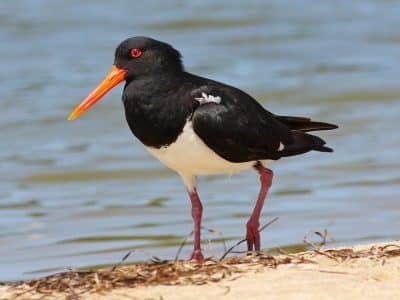 These stocky birds are about the size of a blackbird and have mastered walking along the river bed looking for insect larvae and freshwater shrimps. 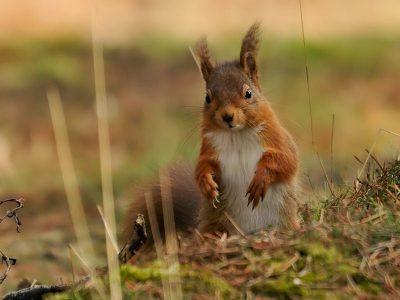 They live in the National Park all year round so waiting quietly by a river at any time you may get a glimpse. Good places to look are where you can see white bird droppings on a stone in the middle of the river as they often come back to perch in the same place. They bob up and down showing their white breast and cocking their tails. 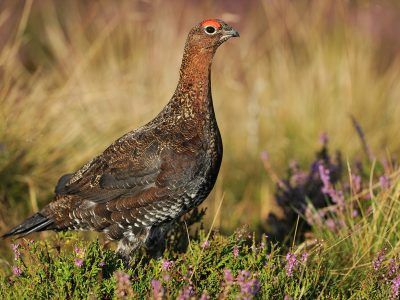 Their nests are often hidden away in a crevice by the water, for example near bridges or rocky outcrops. 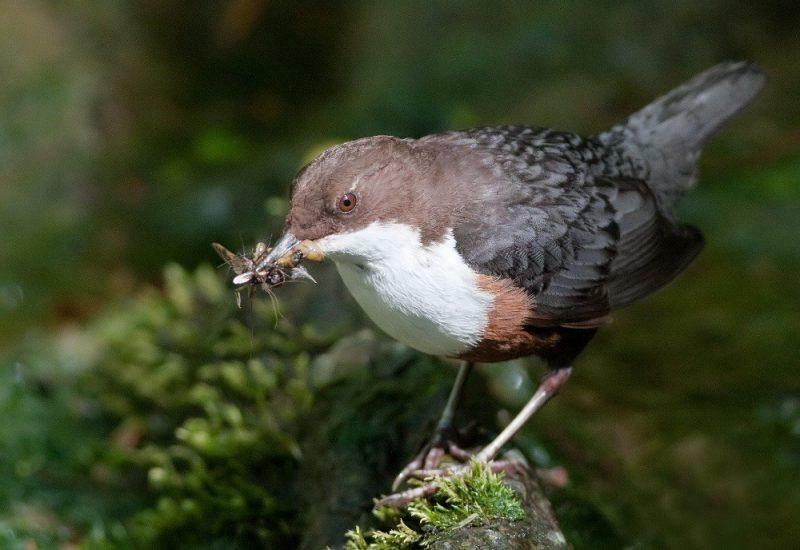 We have some of the cleanest rivers in the country here in Northumberland National Park, which means there are plenty of aquatic invertebrates for the dippers to eat. We have worked with farmers to improve sheep-dip facilities and to ensure that there is no run-off from farmyards to keep the water clean. Spring and summer residents of the Park.